Management expert Peter Drucker once observed that ―everything must degenerate into work if anything is to happen. Thomas Edison put a more positive spin on making a living: ―I never did a day‘s work in my life. It was all fun. Benedictine monks take yet another view: laborare est orare (―to work is to worship‖). But however one defines labor, it is becoming increasingly evident that both work and the workforce are in a state of transition. 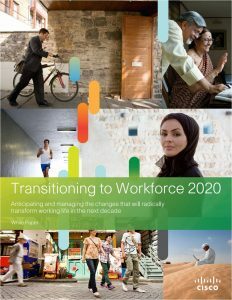 According to Cisco research: Transitioning to Workforce 2020, next-generation workers and new ways of working are joining in a mutually propulsive feedback loop that is already affecting operational infrastructure, corporate culture, talent acquisition and retention, and our notions about what a job is — and what it should be. We should expect that many of tomorrow‘s jobs will be designed as much by the employee as by the hiring organization. Employees will tailor the job to their own strengths and interests, accounting for personal preferences such as level of responsibility, rewards, workload, pace, schedule, and work location — all of which may change over time, depending on factors such as lifestyle alterations and added family responsibilities. Self-customizing the job may also include managing a portfolio of projects that can expand and contract in proportion to the number of hours the employee wants to work, with commensurate adjustments to compensation. Some employers may even want to allow highly prized employees to reduce their workloads so they can slowly transition to other jobs, or pursue career or educational opportunities that are not specifically related to their current work. In addition to the usual new-employee orientations, some organizations have introduced pre-employment programs that make it possible for job candidates to meet with potential managers and co-workers, giving them a say in whom they will report to, whom they will work with, and what projects they will initially work on. Because teams and teamwork are almost certain to play a growing part in the workforce, and these teams will form and reconstitute themselves as needed, employers should introduce prospective new hires not only to their current cohorts, but also to some of the people who may become their teammates or mentors later on. To ensure that employees are comfortable in their job roles, organizations must develop the flexibility to shape employee policies to fit diverse global contingencies, and find ways to take advantage of the personal cultural knowledge of their employees to improve institutional adaptability. Consistent with the imperatives of globalisation, organizations will need to adjust their employment propositions to suit a variety of cultures. With the availability of sophisticated collaboration technologies such as telepresence, a growing number of full-time employees will not work in a conventional office at all, but rather meet with their cohorts only occasionally to socialize and reinforce working relationships. With all the social networking tools now available to them, young workers are able to trade information about the organizations they work for to an unprecedented degree. As a result, these organizations are finding that they have less direct control over how they are perceived in the employment marketplace. In the future, employees will serve as important recruiters for their employers — as well as significant obstacles to recruitment if they are unhappy in their jobs. By the same token, employers are turning to social networking sites to gather information about potential employees, raising privacy concerns that have prompted legislation in some countries. A worldwide survey conducted by Cisco found that 3 out of 5 employees do not believe they have to work in an office to be productive, and 66 percent want flexibility in how they work and would accept a lower-paying job if it meant more flexibility. About two-thirds of the respondents agreed with the premise that company-issued communication devices should be available to them for both work and personal use. The Cisco survey also found that a significant portion of employees are starting to regard working from home as a right, as indicated in the graph below. This preference for flexibility will gather momentum in the years ahead as the wall between work life and home life continues to crumble and young workers resist spending large blocks of their time in a traditional office environment. Today‘s organizations are beginning to regard their employees as not only human resources, but also human capital. Futurists predict that by 2020 the appreciation of human capital, in the sense of both building employee value and attaching greater value to each employee, will become not just an organizational aspiration, but also an economic necessity. 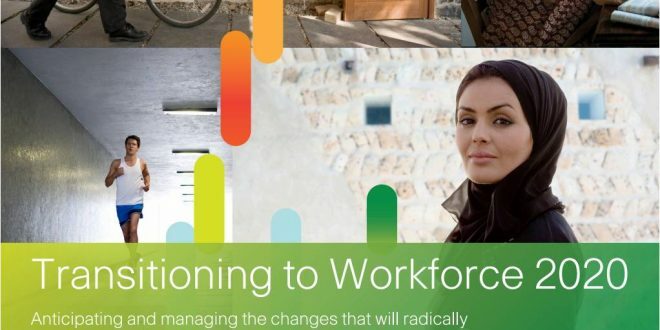 In a steadily globalizing world, organizations of all types, in virtually all regions of the world, will need to adapt to a workforce that differs in both attitudes and expectations from workers in the past. 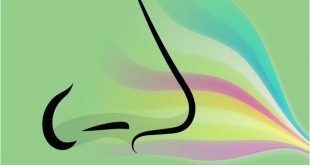 For many enterprises, this adaptation will mean reassessing their approach to recruitment, advancement, rewards, and other human resources activities, and it will also involve reexamining their basic employee value propositions and identifying the sometimes unconscious cultural suppositions that underlie their operations. Organizations will need to establish new baselines for developing value propositions and enhancing employee engagement. 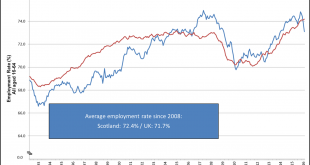 A Towers Watson 2010 Global Workforce Study observes that ―the recession has put the final nail in the coffin of the traditional deal‘ that underpins the employment relationship. ● Overall job satisfaction is low. ● Security and stability are currently the most important concerns of workers. ● Confidence in leaders and managers is lacking. ● Employees want more freedom and flexibility in their work. ● Many workers think they do not have all the tools and support they need to do their jobs at a high level. In other words, there seems to be a widening gulf between what skilled employees want and need from their jobs and what employers are offering them. 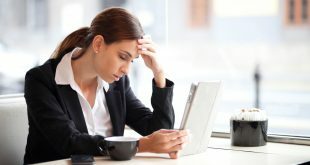 This discrepancy threatens to undermine employee engagement, a situation that in turn can lead to diminished job performance and productivity. Employee engagement — that is, workers‘ overall commitment to the job and to the organization they work for — directly affects business performance and profitability. PricewaterhouseCoopers surveyed more than 4300 recent college graduates from 44 countries and summarizes its findings this way: ―By 2020, we believe people supply will be the most critical driving factor for business success. Companies may go to extreme lengths in their search for talent, and once they have it, they will take measures to keep people ‗locked in‘ to their organizations. Without this talent, they will be unable to compete. Organizations will need to account for these new expectations if they want to continue to stay competitive and successful. According to a WorldatWork survey on future workforce needs: Recruitment and retention will be part of a business‘s competitive edge in a hyper-competitive market. Ongoing intensive and strategic efforts will be focused on these aspects. In the near future, an organization‘s ability to attract, motivate, and retain will emerge as the primary indicator of fiscal performance and survival. To that end, given the diverse workforce, organizations will be offering more variety in rewards as they try to access the best and the brightest in a seller‘s market. Furthermore, research indicates that workers may want different things from an employer depending on their stage in life, career development, or financial situation. The elements that attract them initially are not necessarily the same as those that help retain them or encourage them to fully engage and deliver consistently high performance. Must pay due attention to deciding what current mix of tools will best enable its own workforce to increase its efficiency, propagate useful ideas, and contribute to the organization‘s collective intelligence.